Congratulations to Silvia, winner of the tour prize and to T's Stuff, the host winner. 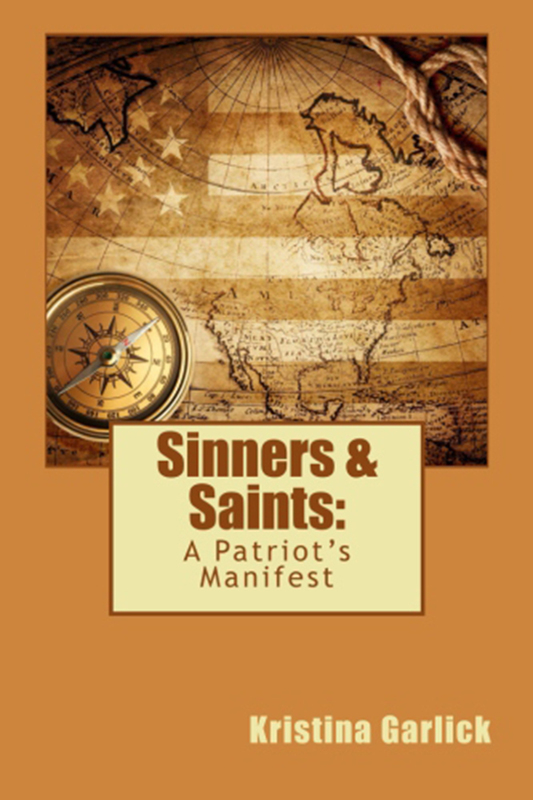 Goddess Fish Promotions is organizing a Virtual Book Blast Tour for Sinners & Saints: A Patriot's Manifesto by Kristina Garlick, a YA Fantasy available now. The Book Blast Tour will take place on Wednesday, September 21, 2016 This tour will not include interviews or guest blogs; however, a blurb, excerpt and author bio will be provided to every host for inclusion on their blog. No reviews requested for this tour. Kristina will be awarding a $15 Amazon or B/N GC to a randomly drawn winner via rafflecopter during the tour, and a $25 Walmart GC to a randomly drawn host. My name is Zoey Major and I live in Fort Star, New Jersey. I am also a survivor in the zombie apocalypse. Seems very cut and dry but I have been hiding something- like really huge. My secret is game changing. I am not like the others... I know, what a surprise twist! Unfortunately, I can’t tell you why I am different. If you really want to know, you have to figure it out. Hey, even in these dark times, a girl needs her secrets.